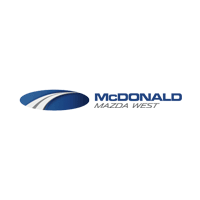 Welcome to the McDonald Mazda West Automotive Finance Center! Do you have questions about your credit? Are you unsure whether to buy or lease your new Mazda SUV or sedan? What kind of monthly car payments will your budget allow? Let the Mazda finance department at our Mazda dealership near Arvada, CO, handle all these queries and more. Browse our new and used inventories of Mazda models to find the perfect sedan or SUV for your lifestyle and budget, then sit down with an expert in our Mazda finance department to discuss your options. From monthly lease payments to APR financing breakdowns, we’ll discuss every aspect of the car-buying or -leasing process so you’ll leave our Colorado Mazda dealership with absolute confidence in your decision. Check out our new Mazda lease offers and new Mazda finance specials to see how much you can save. We’re all about putting people first at McDonald Mazda West, and we won’t be satisfied until you are! Finance a new or used Mazda from us today. Have A Question? Contact Our Experts Below.